This drill teaches fronting a player, shooting, help side, and boxing out. Players start in the following setup with the defensive player fronting the coach #1. 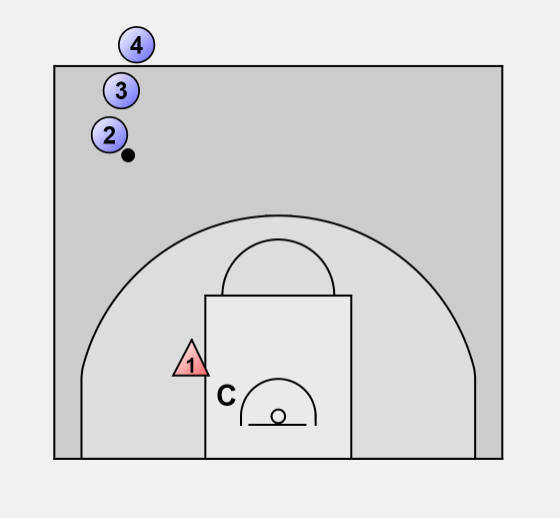 Player 2 dribbles in a zig-zag pattern and player #1 continues in a deny/fronting position against coach. 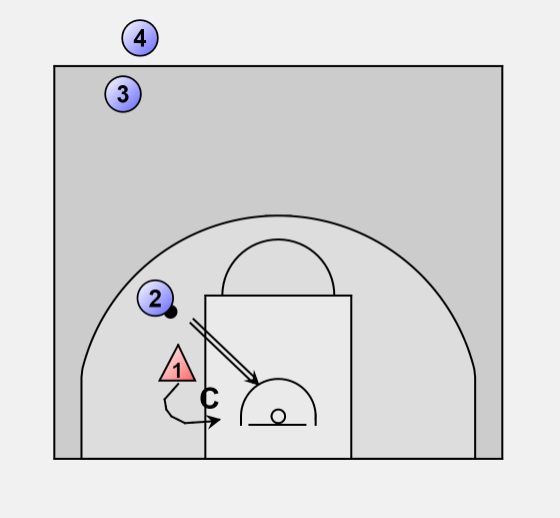 #2 dribbles down to corner and attempts dribble drive and defender comes off man to stop dribble penetration. 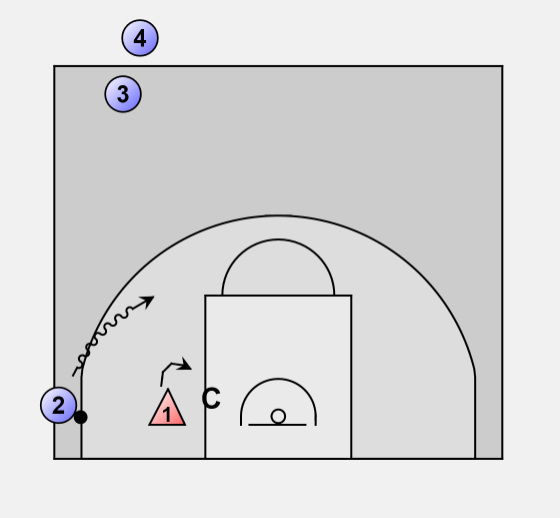 After dribble drive is stopped, #2 dribbles back up to free throw line extended and pulls up for a jumper. Defender #1 reads that #2 is shooting and rotates to box out for rebound. 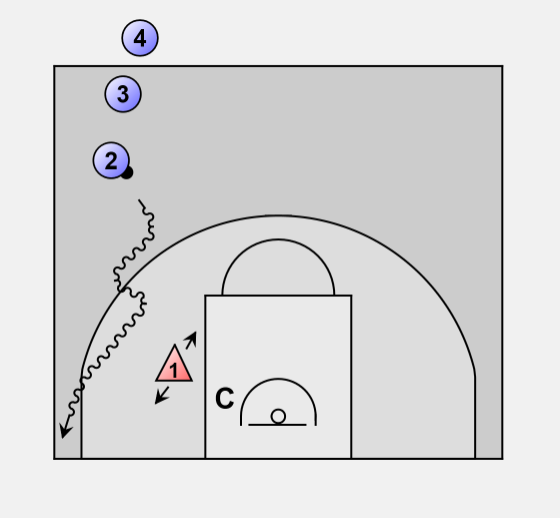 Coach can make this rotation hard or easy, depending on level of players. Defender passes to next player in line and offense takes the fronting position.